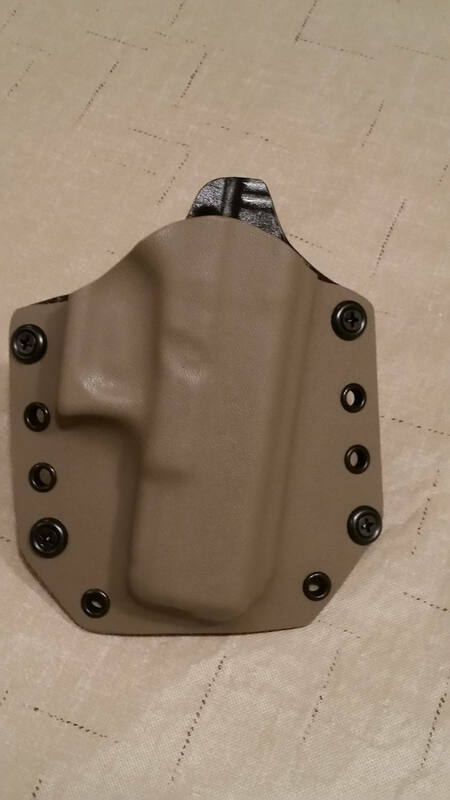 These OWB holsters are made of our quality .08 kydex materials with 1 3/4" injection molded belt loops. These holsters are made with black anodized stainless steel screws, finishing washers and clutch nuts to aid in keeping you hardware tight. They have smooth edges and fantastic retention due to the vacuum forming process we use to make them. This process creates a 90 / 10 type of mold that aids in comfort and the ability to conceal your weapon. You would be hard pressed to find a better holster for the money. We offer these holsters in 3 different colors. Black, Gray, and Flat Dark Earth.